Drama adapted from the novella by Daniil Kharms. In 2013, a version for the stage was directed by Robert Wilson and starred Willem Dafoe and dance Mikhail Baryshnikov. 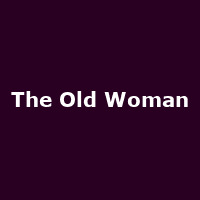 "Carrying echoes of Beckett and Ionesco in its deadpan narrative, which follows the story of a struggling writer who cannot find peace with himself, The Old Woman is perhaps the finest work by one of the great avant-garde Russian authors."